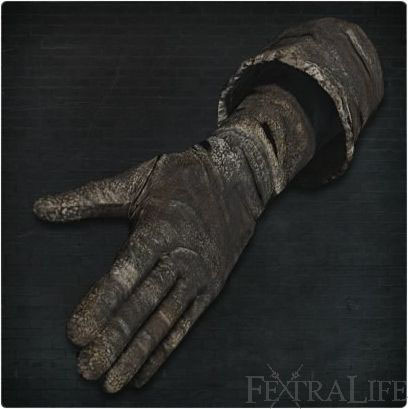 Yahar'gul Black Gloves is a Head Armor (Attire) in Bloodborne. It is part of Yahar'gul Set. "Thick black gloves worn by hunters of the Unseen Village. The hunters of Yahar'gul answer to the village's founders, the School of Mensis. Hunters in name only, these kidnappers blend into the night wearing this attire. Designed primarily to defend from physical attacks, the binding of thick rope serves both to protect its wearer, and restrain his foes."